from/to Windhoek via southern Namibia's Kalahari and the Namaqua Wildflower Area in the Northern Cape Province of South Africa. 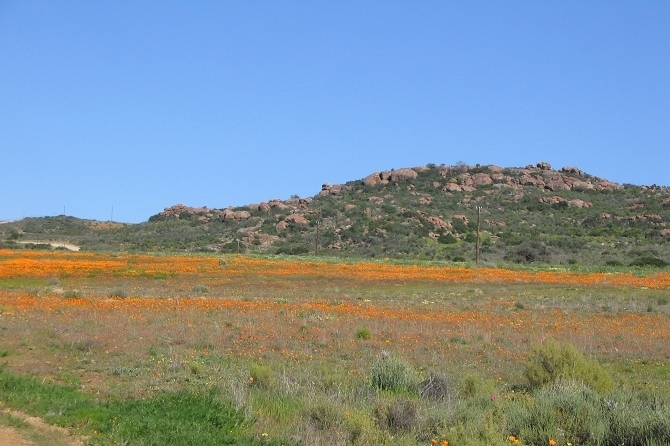 For the African plant life enthusiast, by also including visits to the Ai-Ais/Richtersveld Transfrontier Park and the remainder of the Succulent Karoo to the north and south of the Gariep (Orange) River to see succulents in bloom. Springtime in the Succulent Karoo is a truly unique experience!